Dr. Sherry Audycki was raised in Oelwein, IA. She graduated from Wartburg College with a Bachaelor of Science in 1984, majoring in Biology. 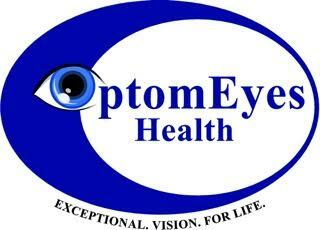 She received her Doctorate of Optometry degree from Illionis College of Optometry in 1988. She completed her training at Illionis Eye Institute in Chicago, IL. She also completed a clinical externship at the Westside Veterans Hospital in Chicago, IL. Upon graduation, Dr. Audycki moved to Newington, CT where she completed a VA residency program at the Newington VA Hospital. She and her husband moved to Gouverneur, NY in 1989, where they had a successful optometry practice together. In 1999, they relocated to Dartmouth, MA. 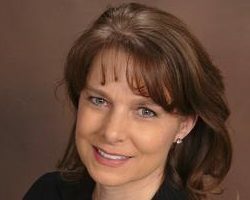 Dr. Sherry Audycki is a Fellow of the American Academy of Optometry. She is involved in clinical research in the areas of refractive laser technology as well as intergrative visual processing, as it relates to concussion and neurodegenerative diseases. Dr. Audycki is a teaching associate at Warren Alpert Medical School at Brown University Department of Ophthalmology. In 2015, Dr. Audycki founded OptomEyes Health. Located at 535 Faunce Corner Road, Hawthorn Medical Associates in North Dartmouth, MA. Dr. Sherry Audycki is licensed with the Massachusetts Board of Optometry and Rhode Island Board of Optometry, is TPA (Therapeutic Pharmaceutical Agents ) certified. Dr. Sherry Audycki provides comprehensive eye exams, including yearly diabetic and hypertensive eye exams. She provides contact lens fittings for people of all ages and visual demands. She provides eye care for all populations and ages as well. Dr. Audycki is looking forward to continuing to provide the quality eye care she has in the past. She welcomes all former and new patients to visit the office.